A poor rainy season and the effects of El Niño are pushing millions of Somalilanders to the brink, as what many call the “worst drought in memory” has wiped out people’s livestock and crops. Pastoralists in particular are thus in dire need of immediate help. 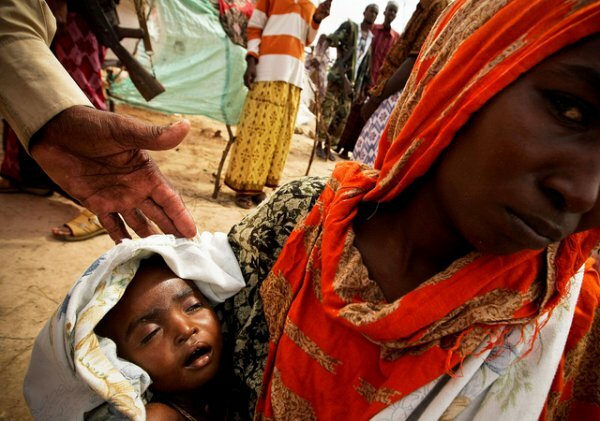 The United Nations appealed for $105 million to provide humanitarian aid and livelihood assistance to Somaliland whose government won’t be able to prevent the country from descending into a catastrophic famine much longer. Somaliland risks descending into famine amid a severe drought that has killed thousands of livestock, an international aid agency warned on Friday, adding there were reports of some women being set upon by hyenas after collapsing from hunger. "Many people are saying it's the worst drought in memory," said Mary Griffin, spokeswoman for Islamic Relief, who visited the region this month. She said malnourished mothers were unable to breastfeed their babies, and herders were feeding cardboard boxes to their surviving animals because there was no grass left for grazing. Adan Shariff Gabow, Islamic Relief's manager for Puntland, neighboring Somaliland, said there were cases in Somaliland of women attacked by starving hyenas. "They fell down, malnourished, and we understand they were then set on by the animals," he said. The United Nations says 1.7 million people - many of them nomadic - need aid in Somaliland and Puntland, Somalia's two semi-autonomous regions in the north. Griffin said there was a "terrible sense of deja vu" in the Horn of Africa where a 2011 drought in southern Somalia killed more than a quarter of a million people. Aid agencies were criticized then for responding too late to warning signs. Hany El-Banna, chairman of the Muslim Charities Forum, who also visited the region, called on the world not to repeat the same mistakes. "We cannot wait like we did in 2011 when we acted too late," he said. "We need to deal with this today - if we don't this drought will turn into a famine." The drought has been caused by successive poor rainy seasons made worse by El Nino conditions in the Horn of Africa. Thousands of goats and cows have perished and even camels - which are more drought-resistant - are dying. Britain's shadow development secretary Diane Abbott, who accompanied aid agencies on the trip, plans to raise the issue in parliament next week. "I spoke to families who had 500 or more animals three months ago, and now are left with 20 or fewer," she said. "For people who rely on their animals for meat, milk and trade, it's the equivalent of losing your entire life savings." The United Nations says malnutrition-related deaths have been reported in Awdal region, bordering Ethiopia, where sprawling makeshift camps have sprung up as people wait for aid to arrive. Griffin who visited a camp at Qol Ujeed, in Awdal, said 1,200 people were living there without a single toilet. Many of their dead animals are buried around the camp. Nimo Mohamed Abdi, a mother of three, described how she had lost all her livestock - more than 180 animals including camels - in three months. "We were living by the coast then and the animals died so quickly, one after another, that we could do nothing with their corpses but throw them into the sea," Griffin quoted her as saying. The United Nations has launched a $105 million appeal. Abbott said conditions that pastoral communities would expect to see every seven to 10 years were becoming an annual occurrence. "With the increasing effects of climate change we need to look at how to build more resilience; more boreholes, dams, ways to collect and store rainwater."